ST. JOHN’S, Antigua, Nov 7, CMC – Prime Minister Gaston Browne has expressed his “utmost disappointment” at the failure of his administration to get voters to support the Trinidad-based Caribbean Court of Justice (CCJ) as Antigua and Barbuda’s final court. In a referendum on Tuesday, the preliminary figures released by the Antigua and Barbuda Electoral Commission (ABEC) showed that of the 17,743 votes counted, the “No” vote secured 9, 234 as against 8,509 for the “Yes” vote. Antigua and Barbuda’s final court is the London-based Privy Council and the island had hoped to join Barbados, Belize, Dominica and Guyana as the only Caribbean Community (CARICOM) countries that have so far made the CCJ their final court. The CCJ also operates as an international tribunal interpreting the Revised Treaty of Chaguaramas that governs the 15-member regional integration movement. “We knew that getting 67 per cent of the votes was an extremely daunting task, practically un-achievable without the support of the main opposition party,’ Prime Minister Browne said. “The support of the opposition was very important to mitigate against the natural inclination of electors to vote no in a referendum and this is a point that I raised during the initial consultation (on the CCJ) ,” he added. But the leader of the main opposition United Progressive Party (UPP), Harold Lovell said that the results of the referendum should be viewed as a personal assessment of Prime Minister Browne’ stewardship. Lovell said that of the 20,000 odd people who voted for the ruling Antigua and Barbuda Labour Party (ABLP) in the last general election held earlier this year, “only 8,000 came out and yet he is now blaming the United Progressive Party. “Our position was take the politics out, let us build a coalition of people and listen to people and go forward with that approach. Cursing people,…calling people backward, stupid, dunce that type of thing, that’s not how you build a successful coalition,” Lovell said. He said the UPP would continue to support constitutional reform “and we believe this is a time when we must listen to what people are saying”. But Prime Minister Browne told reporters that the opposition had succeeding in undermining the desire to replace the Privy Council accusing them of spreading lies and instilling fear in the population. Browne said the results showed that “no one” won in the end. “The outcome even though disappointing was not surprising. I am satisfied that my government discharged its responsibility by making the option available to the people of Antigua and Barbuda to make justice available to all at the Apex level and to bring our final court to the Caribbean. “My biggest disappointment is the impact of this failure on future constitutional reforms. 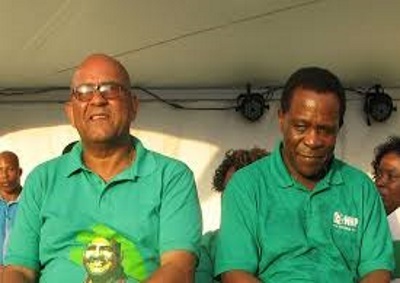 It is unlikely that my government will, in the circumstances and in the absence of political maturity and magnanimity pursue any further constitutional reform in the near future,” Browne said. ABEC said that 33.5 per cent of the electorate voted in the referendum and that the “No” vote had secured 52.04 per cent with the “Yes” vote gathering 47.96 per cent. Henry told the Caribbean Media Corporation (CMC) that it is imperative for the region to “build our Caribbean institutions, no matter the struggles, no matter the challenges and no matter the defeats. “Head of the Barbados-based Caribbean Development Research Services (CADRES), Peter Wickham, whose organisation had predicted that the “yes” vote would have received the necessary support to take the island into the CCJ, expressed disappointment at the outcome. “I am not Antiguan but I am disappointed for Antigua and the rest of the Caribbean. I think this is an unfortunate result equally so because the same thing was replicated in Grenada (Tuesday) and I really do hope that in the future we can get back on track. “But the most I can say is that I am disappointed. I think this is an opportunity for Antigua and Barbuda to have created history and to set a course of a circle of development and ultimately the population said no,” he added. 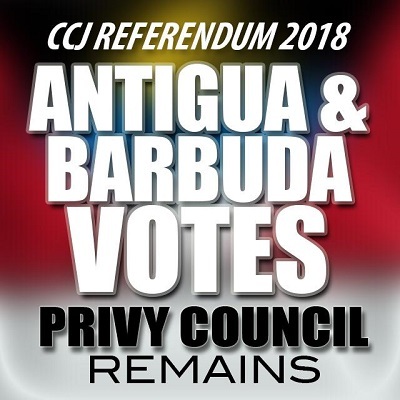 ST. JOHN’S, Antigua, Nov 6, CMC – Antigua and Barbuda Tuesday voted in favour of retaining the London-based Privy Council as its final court, according to the preliminary figures released here. The Antigua and Barbuda Electoral Commission (ABEC) said that of the 17,743 votes counted, the “No” vote secured 9, 234 as against 8,509 for the “Yes” vote. 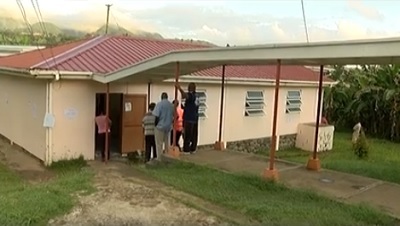 Voters here had been casting ballots to decide whether to retain the Privy Council or instead move to the Trinidad-based Caribbean Court of Justice (CCJ) that was established in 2001 to be the region’s final court. Prime Minister Gaston Browne had hoped that Antigua and Barbuda would have joined Barbados, Belize, Dominica and Guyana as the only Caribbean Community (CARICOM) countries to be full members of the CCJ that also serves as an international tribunal interpreting the Revised Treaty governing the 15-member CARICOM grouping. “ I urge them to go out and vote “yes” …and in any event whatever the decision I will be guided accordingly, but as far as I am concerned I have delivered in the responsibility to make this very important option available to the people of Antigua and Barbuda,” Prime Minister Browne said, soon after casting his ballot on Tuesday. But the main opposition United Progressive Party (UPP) has said it is not supportive of the move to replace the Privy Council and had urged supporters to vote their conscience. Henry said it is imperative for the region to “build our Caribbean institutions, no matter the struggles, no matter the challenges and no matter the defeats. “We must redouble our efforts at deeper and fuller education of our institutions and ;place them within the curriculum of our schools in the region,” he told the Caribbean Media Corporation (CMC). Head of the Barbados-based Caribbean Development Research Services (CADRES), Peter Wickham, whose organisation had conducted an opinion poll and had predicted that the “yes” vote would have received the required support to take the island into the CCJ, expressed disappointment at the outcome. “I am not Antiguan but I am disappointed for Antigua and the rest of the Caribbean. I think this is an unfortunate result equally so because the same thing was replicated in Grenada (today) and I really do hope that in the future we can get back on track. ST. GEORGE’S, Grenada, Nov 6, CMC – Grenadians voted for a second time within a two year period, to reject efforts to replace the London-based Privy Council as the island’s highest court. In a national referendum on Tuesday, the preliminary figures released by the Parliamentary Elections Office (PEO) show that the “No’ vote secured 12,133 as compared to 9,846 for those supporting the efforts to replacing the Privy Council with the Trinidad-based Caribbean Court of Justice (CCJ) that was established in 2001. While most of the CARICOM countries are signatories to the Original Jurisdiction of the CCJ, only Barbados, Belize, Dominica and Guyana have signed on to the Appellate Jurisdiction. The country needed a two-thirds majority of the total number of ballots cast for it to join the CCJ. In 2016, Grenadians voted overwhelmingly to reject seven pieces of legislation, including that of the CCJ, which would have reformed the constitution the island received when it attained political independence from Britain 42 years ago. Prime Minister Dr. Keith Mitchell, soon after casting his ballot told reporters that if the referendum fails, there will not be another attempt to replace the Privy Council with the CCJ under his leadership. Mitchell had said he was “quietly confident” that the two-thirds majority would have been achieved in getting Grenada to join the CCJ. “I really don’t have a problem with voices who say they want to say no but to concoct false stories to confuse people, for what I reason I don’t know,” he said, “this is not about party, this is about our children and grandchildren”. The main opposition National Democratic Congress (NDC), which initially had supported the move to replace the Privy Council, had urged the population to vote “no” on Tuesday with the party’s interim leader, Joseph Andall, saying that the new position was taken because members were not satisfied with the process. 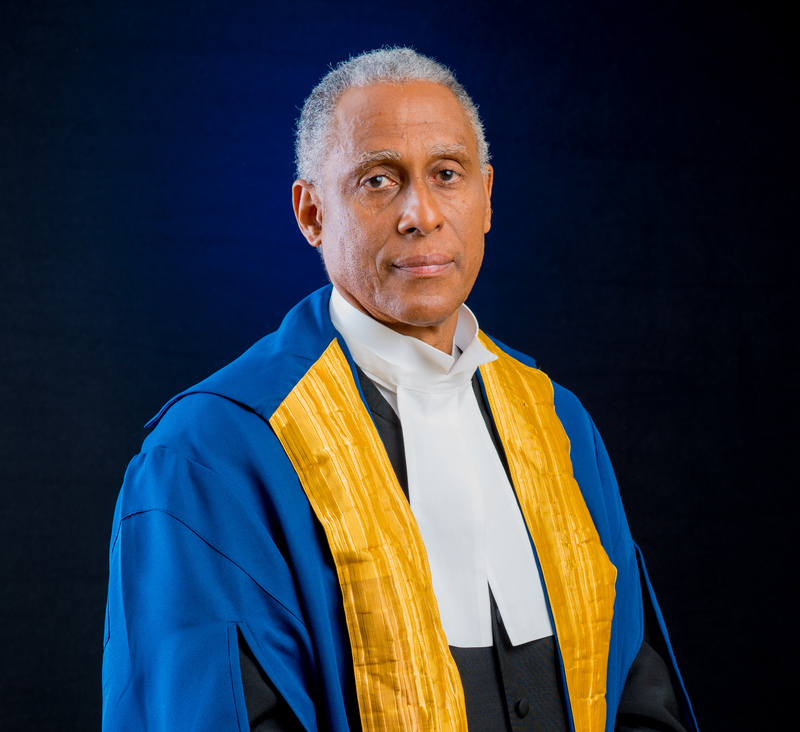 TORONTO, Oct 31, CMC – The President of the Trinidad-based Caribbean Court of Justice (CCJ), Adrian Saunders, said he had hoped that his elevation to that post would have united people in his homeland, St. Vincent and the Grenadines, in having the institution as the country’s final court. Addressing a ceremony here to mark the 39th anniversary of political independence for St. Vincent and the Grenadines, Justice Saunders said that it is often an embarrassing situation for him to be explaining to his colleagues from around the world, the position of some CARICOM countries’ to the court that was established in 2001 to replace to the London-based Privy Council. “I had hoped that with my elevation to the presidency of the CCJ, I would be able to get all parties in St. Vincent and the Grenadines to put aside their political differences and to embrace the court in its appellate jurisdiction,” Justice Saunders told the ceremony over the last weekend. Speaking at the event organised by the St. Vincent and the Grenadines Organisation of Toronto on the theme “Remembering Our Past – Focussing On Our Future”, the prominent regional jurist said, “if we are to advance as a people, politics and political tussles are important for a healthy democracy. “But there are eternal core human values that are overarching. Truth, compassion, cooperation, caring, courtesy, empathy, hard honest labour … These are values Opposition and Government alike and indeed, all the people, must promote,” he said. The Ralph Gonsalves-led Unity Labour Party (ULP) is in support of the CCJ and in July said that the Eastern Caribbean Supreme Court had indicated that two-thirds majority support of lawmakers, rather than a referendum is needed to replace the Privy Council. Gonsalves said he is willing to bring such a law to Parliament but would only do so if he has opposition support. However, the main opposition New Democratic Party (NDP), led by Dr. Godwin Friday has made it clear that it would not support a move to the CCJ. In comments earlier this year, Friday, an attorney, said that the electorate had rejected such a move when given a choice in a referendum in 2009, adding that Parliament should respect voters’ choices. He, however, said that if another referendum is held on the issue, his party would rally its supporters in an attempt to vote it down. In his address, Justice Saunders said that there is another value that is paramount and is vital for the citizens of the Caribbean “with our fractured experiences of slavery and colonialism. “That other value is self-belief. A clear sense of ourselves. An understanding of our worth as human beings; an appreciation that we are not inferior to anyone and that we have the capacity to forge our own destiny,” he said. Justice Saunders said his heart soars when he hears of Vincentians who excel regionally or internationally. “Because that becomes for me a re-affirmation of our worth, our capacity,” he said, adding that no one shrieked for joy louder than he did when West Indies cricketer Obed McKoy, a Vincentian, bowled Indian cricketer MS Dhoni last week. “It is, therefore, for me, a source of profound disappointment, that so many people in the region, including Vincentians who I assumed would know better, contrive to find excuse upon excuse to justify the anomaly that, after 40 years of political independence, we are content to have our laws ultimately interpreted and applied by a British institution, staffed with British judges all of whom reside in Britain. “History will not be kind to those who argue that such a situation should continue,” said Justice Saunders, the third Caribbean national to head the Trinidad-based CCJ. He said this is no different than a man today wanting St. Vincent and the Grenadines to return to Associated Statehood status, or wanting to write O Level exams from Britain’s Cambridge University instead of the Caribbean Examination Council (CXC). “For me, it is like choosing Major Leith over Chatoyer,” he said, contrasting the Scottish soldier who served in the British Army, to St. Vincent and the Grenadines sole National Hero, who led a years-long guerrilla war in the 18th Century against European attempt to colonise SVG. Justice Saunders noted that over 15 years ago, CARICOM established its own final court — the CCJ — and spent US$100 million to guarantee the court’s sustainability. 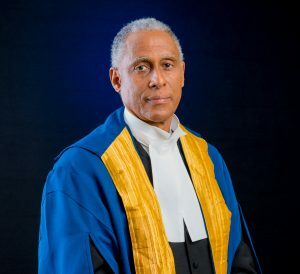 “… the Court has successfully been operating for well over 10 years serving the needs of Barbados, Guyana, Belize and lately, Dominica; and some people still wish to cling to the Privy Council?” he said, mentioning the CARICOM nations that have replaced the Privy Council with the CCJ as their final appellate court. “If Chatoyer, who put his life on the line, were alive today just imagine, what would he think of this?. The CCJ President said when he tries to explain to his colleagues from Asia, Africa and Latin America — as he is “sometimes obliged to do at judicial colloquia” — the “anomaly” of CARICOM nations not having replaced the Privy Council with the CCJ, “it ceases to be an anomaly. 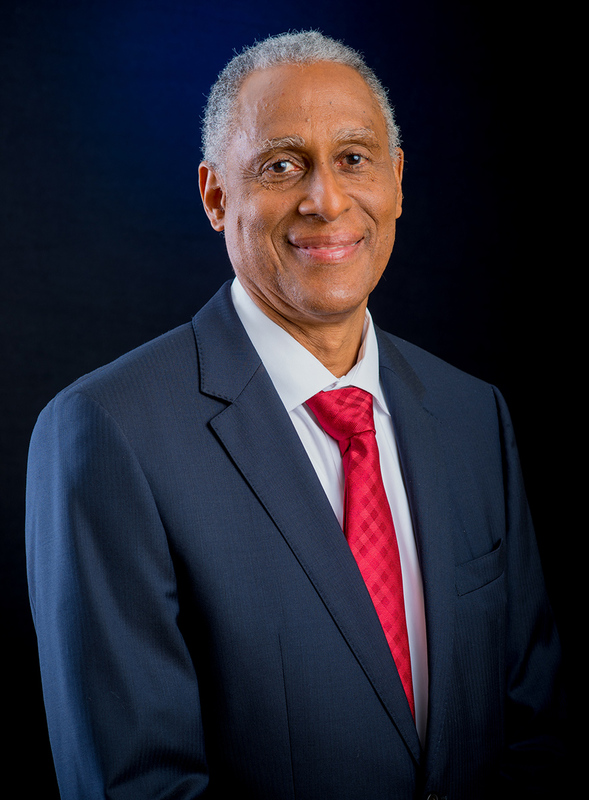 Justice Saunders said he addressed a graduating class at the Cave Hill campus of the University of the West Indies (UWI) earlier this month and he remained confident “that the ill-informed would become better informed. “That the sceptical would become convinced. I look to the future and I remain confident that, as is the case with, for example, The Caribbean Development Bank, the Caribbean Examinations Council, and The University of the West Indies (to name just a few), the time will come when the CCJ also will be recognised as another of those Caribbean institutions whose vital contribution to the region can almost be taken for granted. “As we focus on the future, it is essential that we appreciate that we can and must rely on ourselves to forge our own destiny. We can and must build a stronger St Vincent and the Grenadines and an equally strong Caribbean Community,” he said. Two CARICOM nations, Grenada and Antigua and Barbuda, will hold referenda on November 6 to decide whether to replace the Privy Council with the CCJ as their highest court. ST. JOHN’S, Antigua, Oct 30, CMC – The majority of people in Antigua and Barbuda favour replacing the London-based Privy Council with the Caribbean Court of Appeal, according to an opinion poll released here on Tuesday. The poll, conducted by the Barbados-based Caribbean Development Research Services Inc (CADRES) found that 62 per cent of the 800 people polled during the period October 12-14, said they supported a move to the Trinidad-based CCJ as the island’s final court. Antigua and Barbuda will vote in a referendum on November 6. CADRES said that the opinion poll was devoted to an exploration of the referendum issue and sought to understand how Antiguans felt about the CCJ in principle and also how they planned to vote on November 6 . “In addition, questions as to major reasons why people supported and opposed the CCJ were explored in an effort to provide some amount of context on this issue,” the pollster said, adding that the methodology used was similar to that of previous CADRES polls in Antigua and Barbuda. It said the face to face survey exercise was conducted by interviewers who administered a short, standardised questionnaire to approximately 800 respondents that were randomly selected from all constituencies across Antigua. 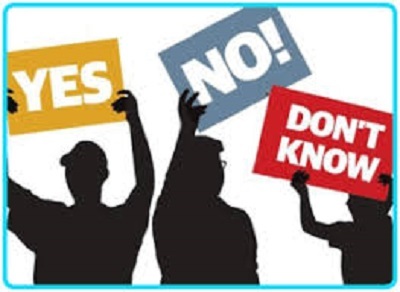 According to CADRES, the majority of those polled (62 per cent) said they “Supported the move to the CCJ” either now or in the future, while 17 per cent said they “did not support the move to the CCJ” and 22 per cent preferred “not to say” how they felt about this issue. “Thereafter respondents were presented with a list of possible reasons why they would vote “For” or “Against” the CCJ and asked to indicate which single reason appealed to them most. Among those who supported the CCJ, the most compelling reason was the suggestion that the CCJ was “cheaper to access” while” those who opposed the CCJ thought that it would be “more open to political influence”. 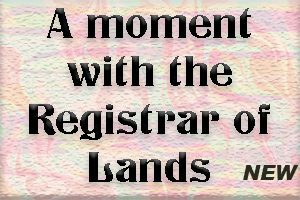 CADRES said that responses to the central question of how persons intend to vote at this time if restricted to those committed to vote either “For” or “Against” demonstrate that the required threshold of 66.6 per cent has narrowly been achieved at this time. However, CADRES would caution that this outcome could be affected either by any variation in the margin of error of the poll (+/- 5%) or if the participation of the Barbudan voters (two per cent) shifts the pendulum away from the “Yes” vote”. CADRES acknowledged that the views of Barbudans were not canvased on this occasion, but noted that a 2016 poll did cover the island still recovering from the ravages of Hurricane Irma. “Comparatively, we note a marginal improvement in the level of support for the CCJ, a plus two per cent compared to a marginal reduction in the level of opposition, a minus two per cent, which can easily be explained by the exclusion of Barbuda on this occasion which was purely on account of our client’s timeline for completion”. In October 2016 CADRES indicated that it felt the referendum would “narrowly achieve the margin necessary for the measure to pass” and at this time “we are similarly persuaded, but caution that the margin here is “razor thin”. CADRES said it also explored the reasons for support and opposition more exhaustively and noted that the primary characteristic that separated those “For” from those “Against” is their political affiliation with supporters of the ruling Antigua and Barbuda Labour Party (ABLP) being more inclined to support the CCJ, while supporters of the United Progressive Party (UPP) are less inclined. “This relationship was noted in 2016 an is no less pronounced on this occasion, notwithstanding efforts to de-politicise the vote. There were; however other reasons for support and opposition gleaned on this occasion and we believe that this information will be a useful basis for dialogue in the final weeks leading up to November 6, 2018,” CADRES said. The CCJ was established by regional governments on 2001 to replace the Privy Council as the Caribbean final court. But while most of the regional countries are members of the court’s Original Jurisdiction, only Barbados, Dominica, Belize and Guyana are signatories to the Appellate Jurisdiction of the CCJ that also serves as an international tribunal interpreting the Revised Treaty of Chaguaraas that governs the regional integration movement. Apart from Antigua and Barbuda, voters will also be casting ballots in a referendum on November 6 on the CCJ issue. ST. GEORGE’S, Grenada, Oct 29, CMC – Foreign Affairs Minister Peter David has called on Grenadians to put aside their petty political differences and vote in favour of a referendum that will allow the island to replace the London-based Privy Council as its final court. The referendum is schedule for November 6, the same day another when Antigua and Barbuda, Caribbean Community (CARICOM) country stages its own referendum on whether to replace the Privy Council with the Trinidad-based Caribbean Court of Justice (CCJ). Speaking at the convention of the ruling New National party (NNP) on Sunday, David said “I want to speak to everybody out there, who loves Grenada, who loves this country let us for once put Grenada first”. David, who was retained as assistant General Secretary, said there should be support for the CCj that was established by CARICOM leaders in 2001 as the region’s final court and which also serves as an international tribunal interpreting the Revised Treaty of Chaguaramas that governs the r4gional integration movement. “If you believe in the CCJ, if you NDC (National Democratic Congress), NNP, PLP (People’s Labour Party), whatever you are, let us vote CCJ,” David said. “I heard the leaders of the trade unions say they support the CCJ, I have heard the church leaders say they support the CCJ, I have heard the leader of the NNP say he supports CCJ, I have never heard so many sectors of our country say they support something,” said David. “It’s the one time when I see that leaders have unanimity on an issue, everybody says they support it, well if you do support it then vote for it because you cannot allow petty differences, to stop us. I am speaking to my friends who are not here, you cannot allow partisan tribalism as you had allowed in 1983 to separate us. “If we support it, we support it. If the leaders of the trade union movement say they support it, then vote for it on November 6. The workers who follow them must do what they say and support it, if the leaders of the NDC say they support it, then members of the NDC should vote for it, if the leader of the NNP says he supports it and the party supports it, then the party members must support it, the point I am making is this, we have to come together,” said David. “Let us disagree on other issues, let us disagree about other kinds of things, there is enough to disagree on, but let us agree on what we agree on. If not now, then when? If is over 100 years we fighting for independence, we have the chance now so let us do it,” David told the NNP convention. He said that when Grenada got its independence in 1974 from Britain, London gave the island a court that citizens had no say in deciding upon. “Did any of you vote for this two-thirds majority? We just got it because the British give it to us; We have a chance now to assert our independence, we have a chance to agree on something. I urge all of you to go out and get your people to vote, mobilise, take your car and seek them out to vote for CCJ,” he recommended. “It is a chance for us to say to the world that Grenada can unite on something, it is a chance for us to say to the world that we are one on an issue. It is chance for us to present to the world that we are a proud people, an independent people,” said the foreign minister. “I don’t want to bow my head in shame when I am ask what Grenada do when asked about our independence and bringing our court system into our jurisdiction and I have to say we voted against it. “I don’t want to be going into the corridors of power throughout the world as the foreign minister and having to explain, well you know sir everybody agreed with it but because we belong to different tribes they voted against it,” said David, adding “we are one tribe, we are Grenada, I say this to my NDC brethren, to my church brethren, to my labour brethren, we are one, let us agree and vote for the CCJ”. Political leader and Prime Minister, Dr Keith Mitchell told his supporters that they should see a yes vote as an investment for future generations. “Give this exercise support, see this vote as one for our children and grandchildren future, don’t just vote but encourage others to vote,” he said. Two years ago, Grenadians voted 12,434 to 9,492 against the 2016 Constitution of Grenada (Caribbean Court of Justice and other justice-related matters) Bill in a November 2016 referendum. The CCJ Bill was one of seven which the electorate voted on separately in 2016. A two-thirds majority was needed for the amendments to pass, but all seven Bills were rejected by voters. 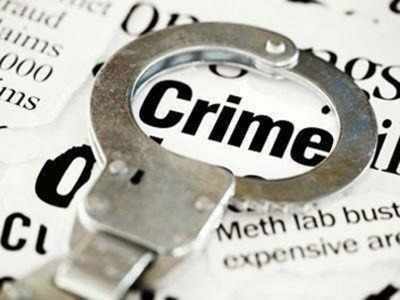 Royal Montserrat Police Service has informed that on October 20, 2018 about 4:30am police officers responded to a domestic dispute report in the Olveston area. On arrival at the scene it was revealed that the parties concerned are husband and wife. At the time the wife was met with a wound to her head. She was taken to the Glendon Hospital where she was seen, treated and discharged after receiving four sutures to her injury. The husband was subsequently arrested and taken to Police headquarters where he was later charged, with the following offences: armed with offensive weapon and wounding. On October 26, 2018 the husband appeared at the Magistrate Court where the matter was adjourned to December 14, 2018 for sentencing. Follow-up enquiry on the information revealed that the husband pleaded guilty at the hearing, but on advice changed his plea after explaining to the magistrate the circumstances of his actions. Justice (CCJ), Justice Adrian Saunders, says after 50 years of political independence, he remains perplexed that Caribbean people are still finding “excuses” in support of the London-based Privy Council as the region’s final court. 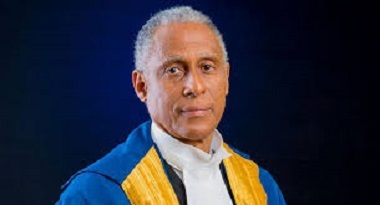 Justice Saunders, who will receive an honorary degree of Doctor of Laws from the Cave Hill campus of the University of the West Indies (UWI) later on Saturday, said that he remains confident that like other regional institutions, the CCJ will be embraced by all the people of the Caribbean. He said that when he tries to explain this to his colleagues from Asia, Africa and Latin America, as he is sometimes obliged to do at judicial colloquia “this ceases to be an anomaly. 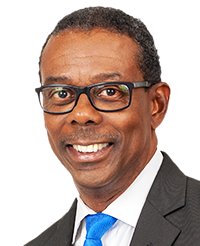 Justice Saunders, the third Caribbean national after Trinidadian Michael de La Bastide and St. Kitts-Nevis national Sir Dennis Byron to head the Trinidad-based CCJ, said “I temper my perplexity, I look to the future and I remain confident. The St. Vincent and the Grenadines born jurist said that while it is a huge credit to the university with main campuses in Trinidad and Tobago, Barbados and Jamaica, “it also generates enormous expectations, especially in the context of the times in which we live. “Truth, Compassion, Cooperation, Caring, Courtesy, Peace, Empathy, Hard honest labour … These are values we must safeguard and promote if we are to take full advantage of the rich bounty the information revolution makes available to us,” he said, paying “tribute to the tutelage and guidance that I and so many others have received from the eminent faculty that have taught at the University”. ST. GEORGE’S, Grenada, Oct 19, CMC – A former magistrate has been released on EC$10,000 (One EC dollar=US$0.37 cents) bail after he was charged Thursday with sexually assaulting a 24-year-old woman. Thew attorney, who is now in private practice, will appear in court on November 27 for the start of preliminary investigations in the allegations against him. The 68-year-old, who is accused of touching the female in different parts of her body without consent, faces the possibility of being sentenced to prison for 14 years if convicted. According to the Criminal Code, a person commits the offence of sexual assault if he or she unlawfully penetrate the genital organs of another person with, any part of the body of another person or that person. Sexual assault also occurs if the other person does not consent to the penetration and if he or she does not believe that the other person consents to such penetration or is reckless as to whether the other person consents or not. Former president of the Grenada Bar Association, Ruggles Ferguson, said that as a member of the legal profession there is no automatic disbarment if the attorney is convicted. “Any form of discipline after a conviction has to be under in accordance with the legal profession act and it must be noted that disbarment is the ultimate form of discipline, there are other actions that can be taken like suspension,” he said. In Montserrat a prominent lawyer has been charged with counts of sexual related charges allegedly committed against a minor since September 2015. The matter has been held up with legal battles, reaching the Courts of Appeal. 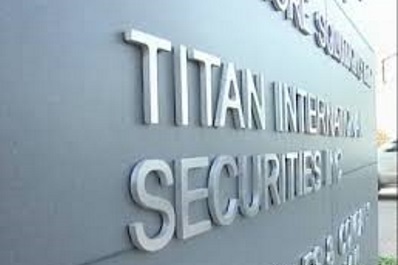 PORT OF SPAIN, Trinidad, Oct 17, CMC – The Trinidad-based Caribbean Court of Justice Wednesday dismissed a claim by the Belize-based Titan International Securities Inc (Titan) for US$4.46 million in losses as a result of a search and seizure operation conducted at its offices in September 2014. But the CCJ, which is the country’s highest court, ordered the Belize government to pay Titan vindicatory damages of BZ$100,000 (One Belize dollar=US$0.49 cents) for the way in which the operation was conducted. The CCJ heard that in September 2014, an indictment was unsealed in the United States charging Titan, its president. Kelvin Leach, and 11 others with securities fraud, evasion of taxes, money laundering and conspiracy to commit those offences. The US Department of Justice requested the assistance of the Belize government to have Titan’s offices searched as quickly as possible to prevent the destruction of evidence. But Justice Abel disagreed with Titan’s contention that the law which granted the power to conduct the search and seizure exercise was unconstitutional. He found that there were limitations and safeguards within the law which sufficiently protected the public from a breach of their constitutional rights. The CCJ agreed with the Supreme Court and the Court of Appeal that the law itself was not unconstitutional, but that Titan’s right to privacy had been violated. The CCJ concluded that Titan failed to prove the link between the breach of its constitutional right and the closure of its business. Like the Court of Appeal, the CCJ was of the view that Titan’s loss was caused by the suspension and non-renewal of the licence. The CCJ did, however, award Titan BZ$100,000 in vindicatory damages after it considered the high-handed manner in which the search and seizure operation was conducted.